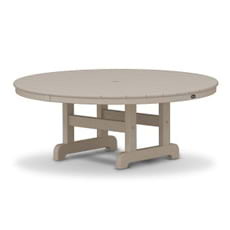 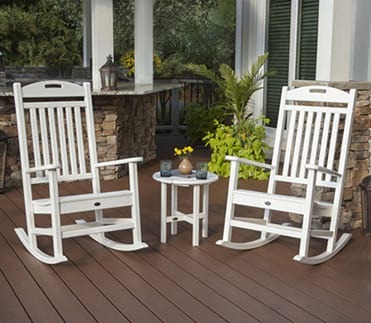 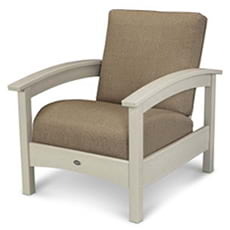 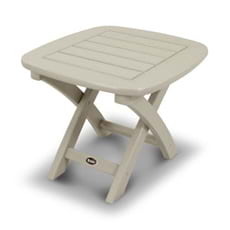 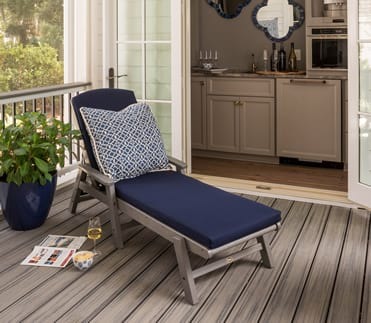 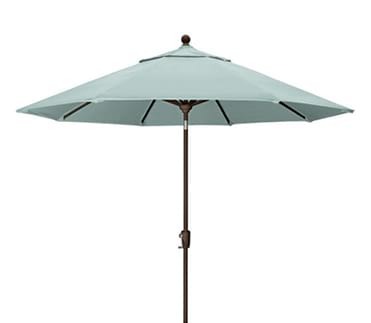 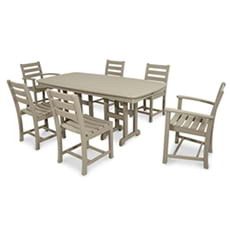 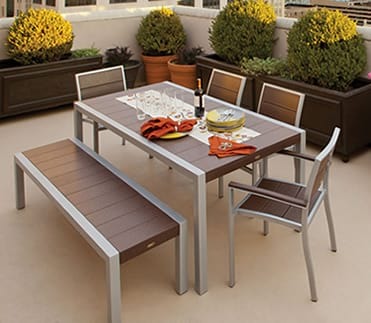 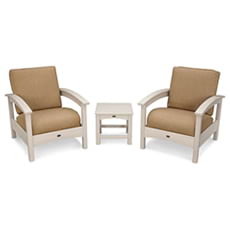 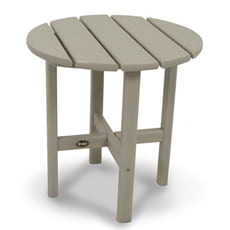 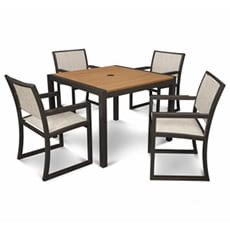 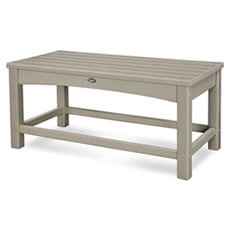 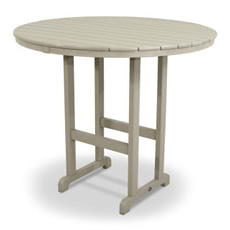 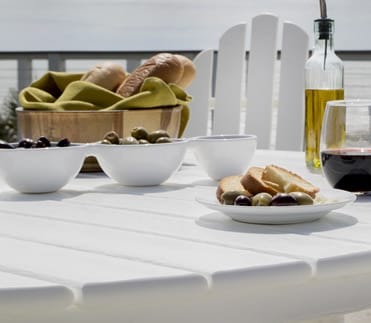 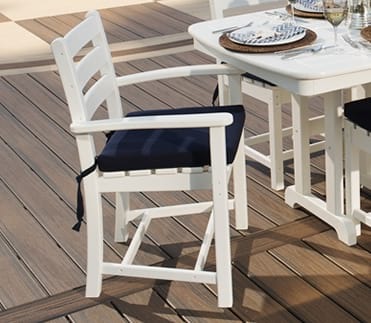 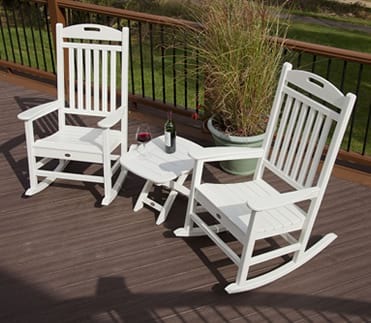 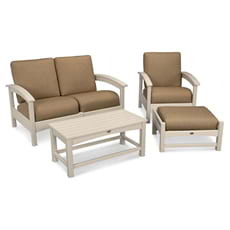 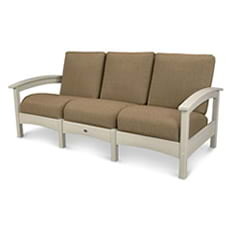 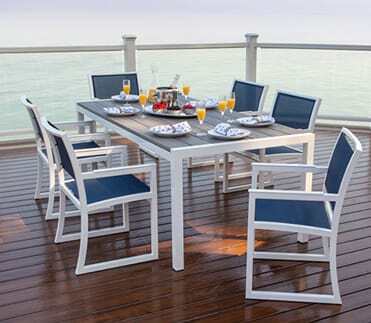 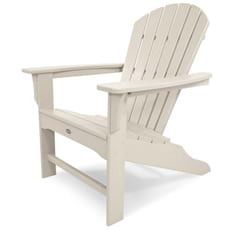 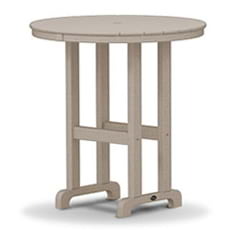 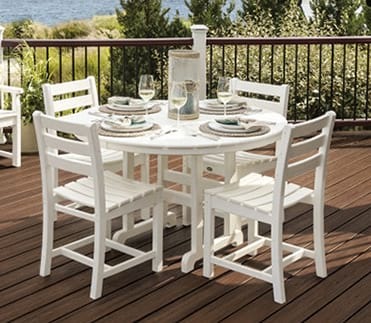 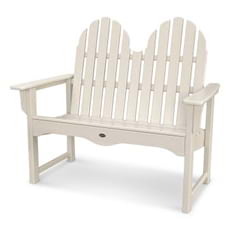 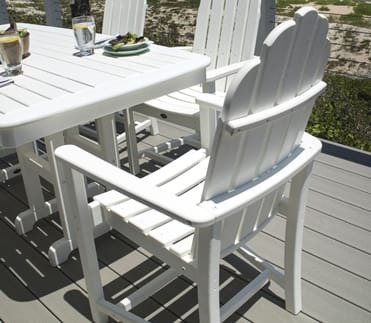 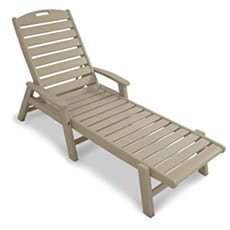 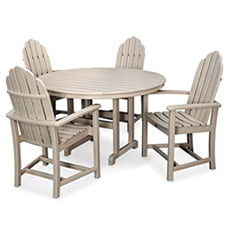 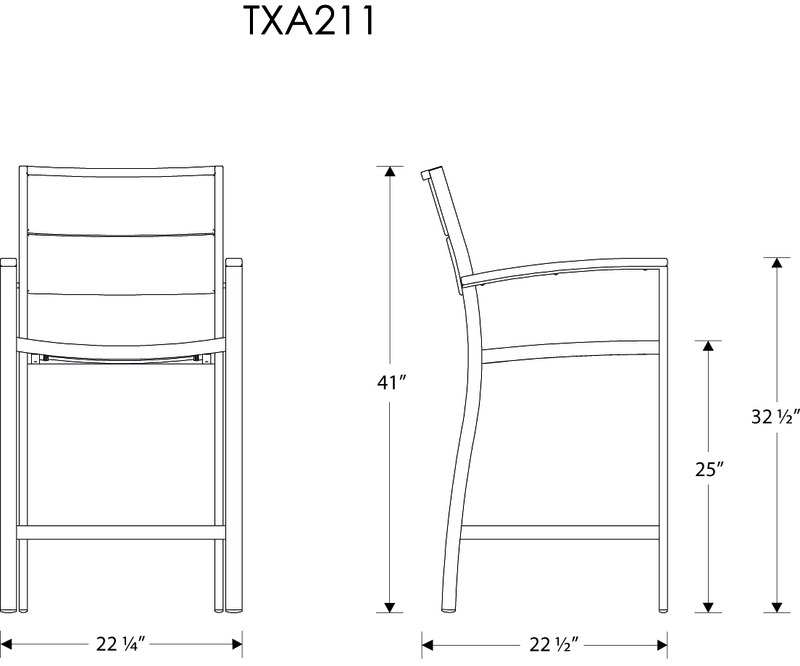 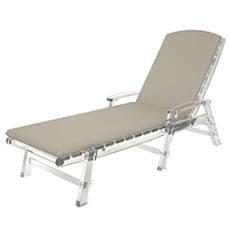 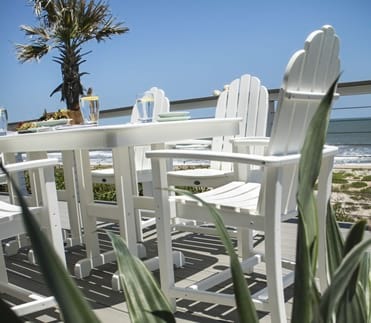 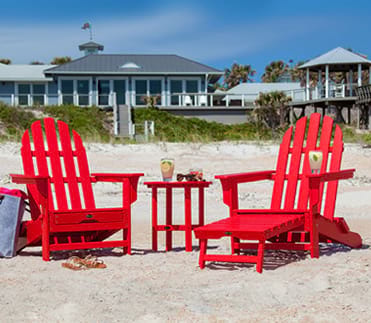 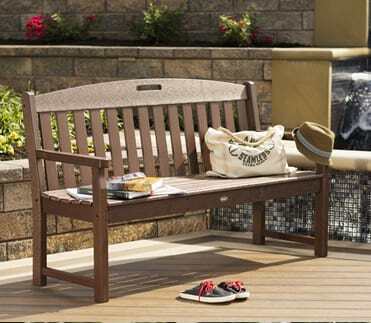 A comfortably contoured seat and relaxing armrests give the contemporary Trex® Outdoor Furniture™ Surf City Counter Arm Chair top honors in prime seating. 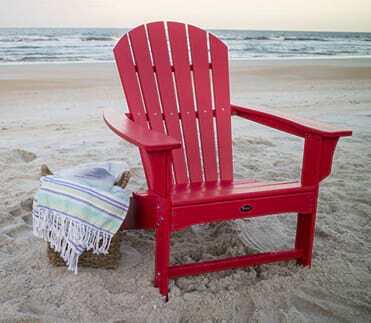 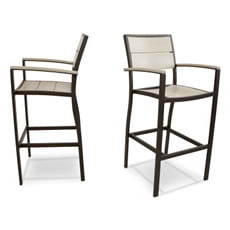 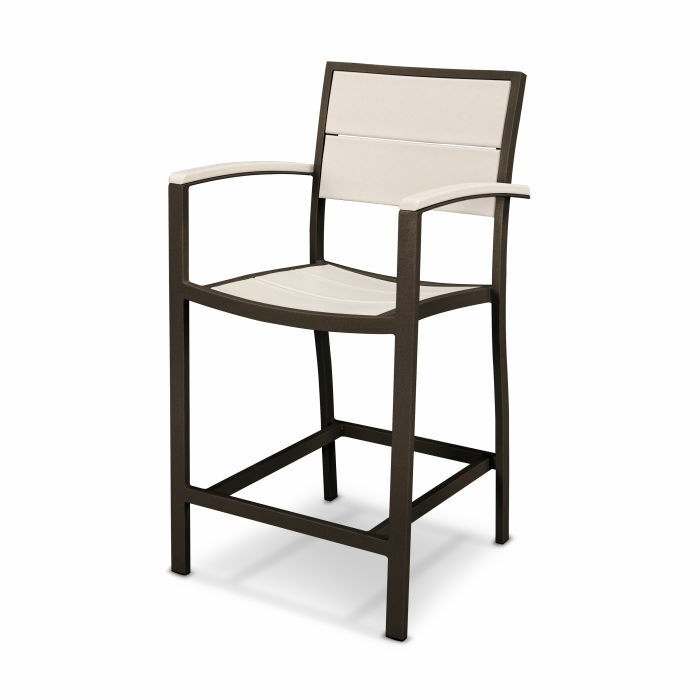 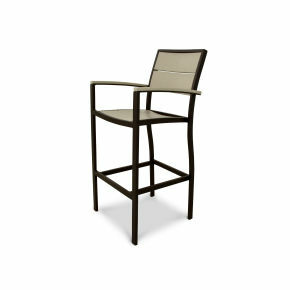 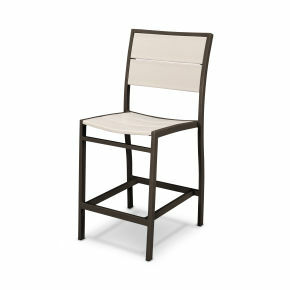 Your outdoor entertaining area will fast become the place everyone wants to be when you adorn it with this lovely chair. 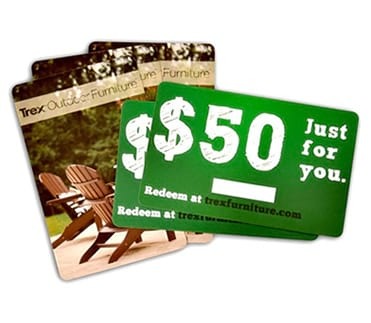 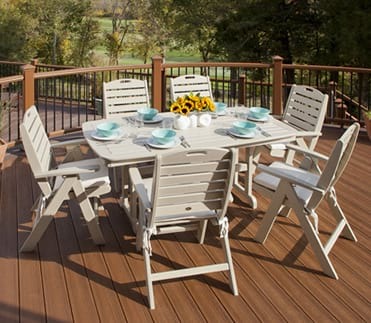 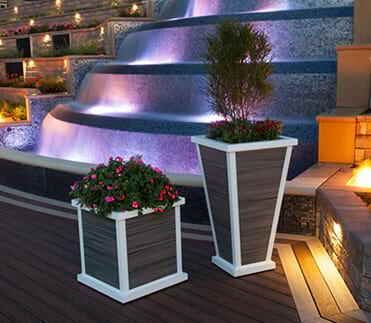 It's available in several attractive, fade-resistant color combinations so you're sure to find just the right match for your Trex® deck. 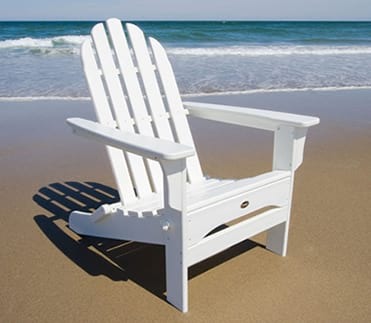 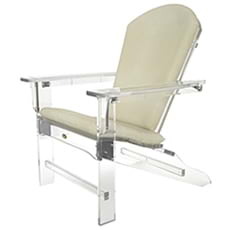 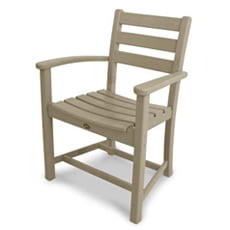 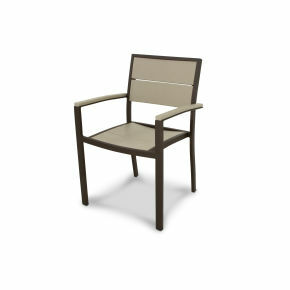 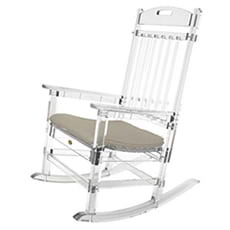 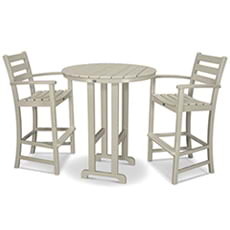 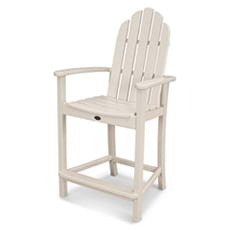 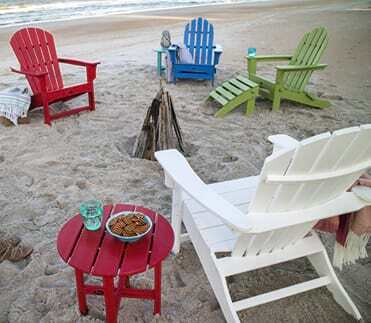 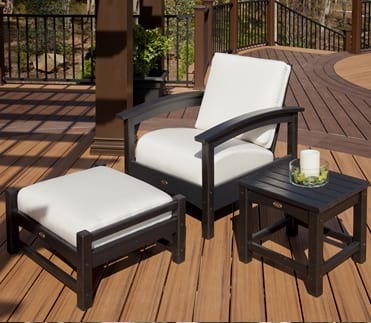 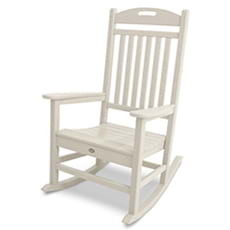 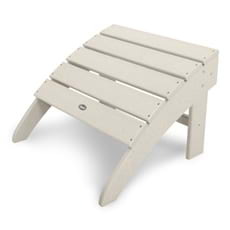 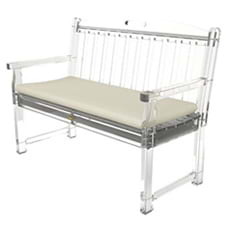 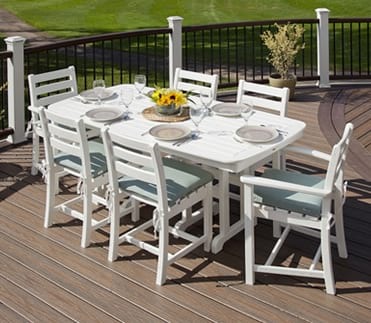 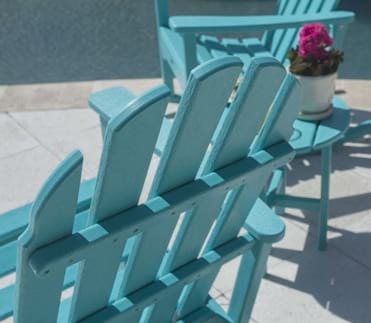 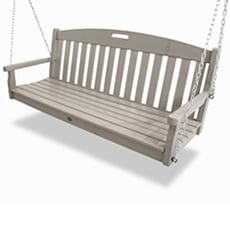 Constructed of a sturdy aluminum frame and durable HDPE recycled lumber slats, this eco-friendly chair is built to last while requiring very little maintenance. 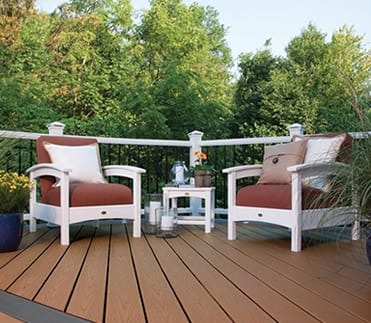 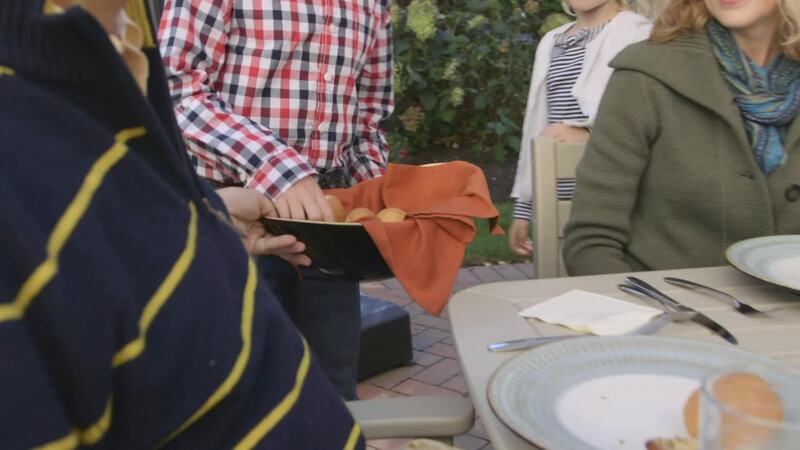 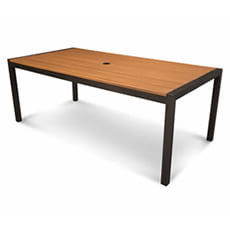 It won't rot, chip or splinter and it is resistant to weather and environmental stresses. 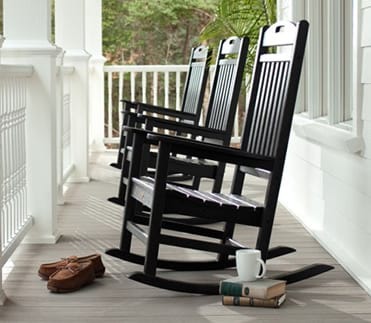 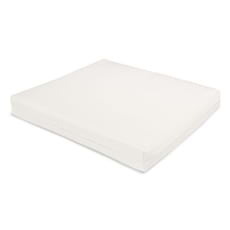 You can rely on its longevity, performance and beauty for years to come because it's made in the USA and backed by a 20-year warranty.